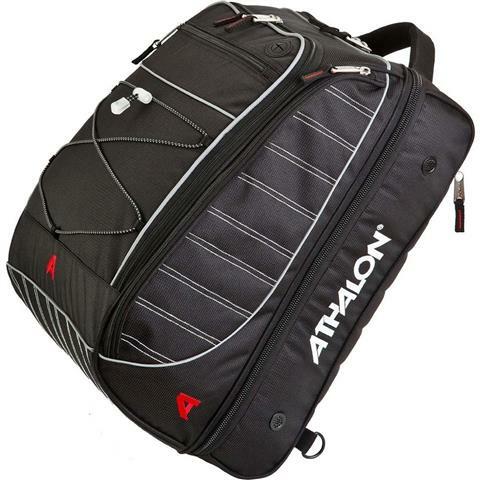 - On either side, there are fully organized pockets for lift tickets, boarding passes, keys etc. Pros: Very flexible - not just a boot bag. Cons: It's robust construction is a little heavy. We were looking for new boot bags when we discovered this bag. It's design allows it to fit the overhead compartment in the plane, making it easy to carry on your boots avoiding the dreaded lost bag problem when flying to your ski vacation. 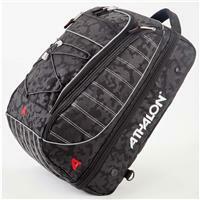 It can either be carried with its conventional handle or worn as a back pack. It also has a very nice system of internal dividers that are fixed in place with Velcro allowing you to set up the inside of the bag for things other than boots. We've discovered that it is just the right size for weekend travel for all seasons, not just ski season. Very well made and should last forever. Pros: Well thought out design that holds a lot. Cons: Side pockets are a little small. I've always had trouble getting my boots in most overhead compartments on planes. The Glider Boot Bag takes care of this with it's over/under design. With the over sized shoulder straps loading it up isn't a problem. 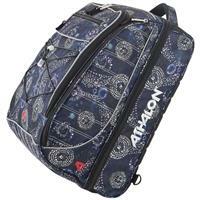 Cons: This model is not a roller bag, but they do make a roller version. 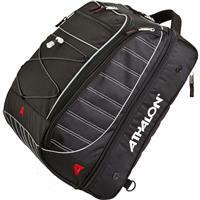 I use this bag as my carry-on boot bag when flying to Western ski vacations. It easily fits in the overhead luggage compartment. 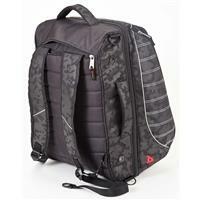 It has backpack straps that zip away when not needed. Over/Under design...boots on bottom, soft clothing on top. I also use this as all year round weekender bag.